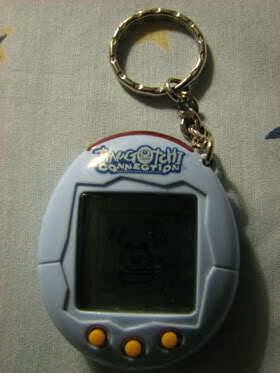 In 2004 Bandai decided to re-release Tamagotchis. This was the first version to come out in America. 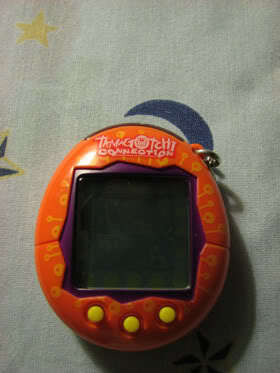 It's called a Connection Tamagotchi because it uses infrared capabilities to connect to other Tamagotchis. With this new feature your characters can now connect to play games and if they become good enough friends can eventually get married and have babies together. If you don't have two connections don't worry! 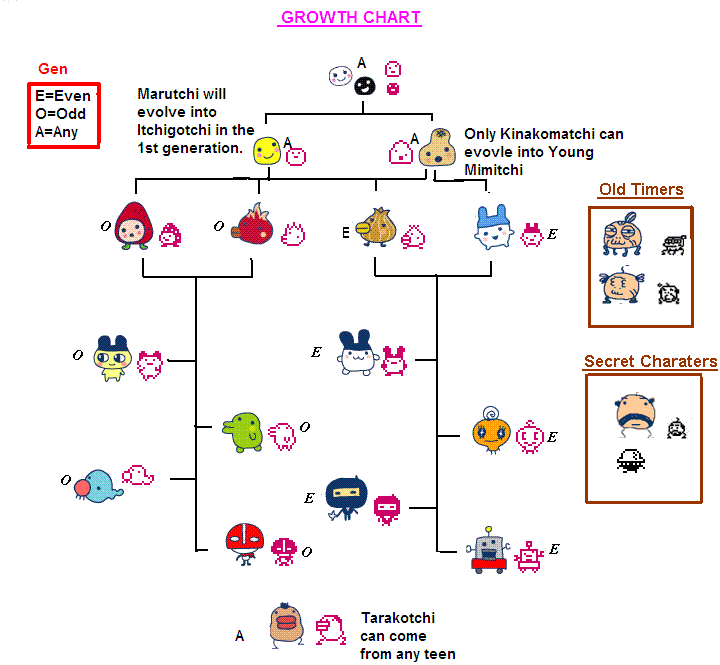 If you are only playing with one, the Match Maker Character will come when your Tamagotchi's grown up with a choice of three mates. You will get to choose which one you want your character to marry! 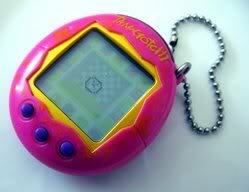 Then your Tamagotchi will have a baby. A day or so later you will be left with the baby and the process will start all over again. But be sure to take good care of them because they can still die! The new versions also have a friends list to see who you've connected with, a name feature to name your character, and different foods as they grow older, as well as a pause feature. They also include more than one game! Pretty nifty, huh? I'm assuming it was for $15 because that's what they usually cost when they release a new version. Now you can find a few used ones on eBay for about $30. A new one might go for a little more. Wait awhile and you might find a new one for cheaper :) They aren't rare by any means, so you'll find a good deal somewhere down the line. Just a tip, unless it is some kind of ultra super special edition Japanese v1, do not buy it for $90-100. If you do then I feel sorry for you because you wasted your money.